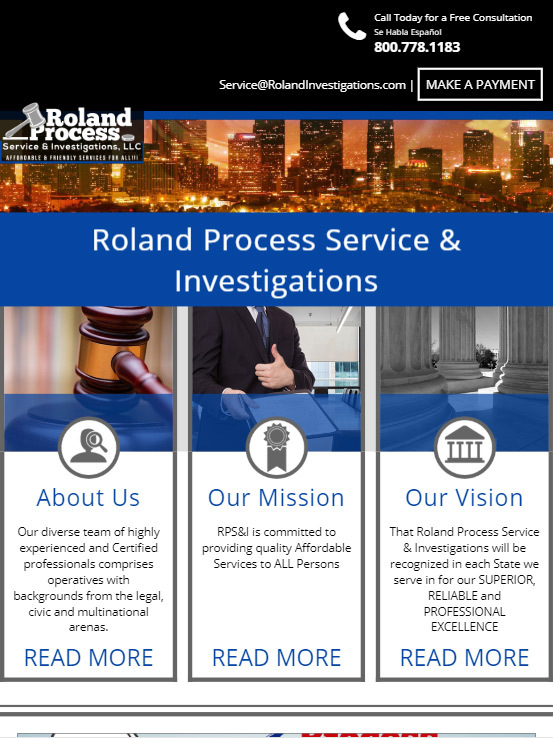 Roland Process Service & Investigations is a Colorado-based firm that provides service of process, skip tracing, and other services in a nationwide range. 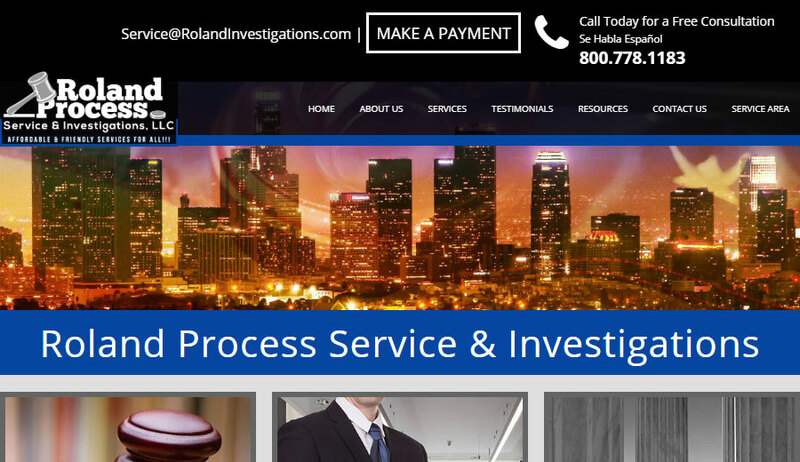 We began working together in late 2016, providing a full redesign of their website and launching a suite of SEO services. 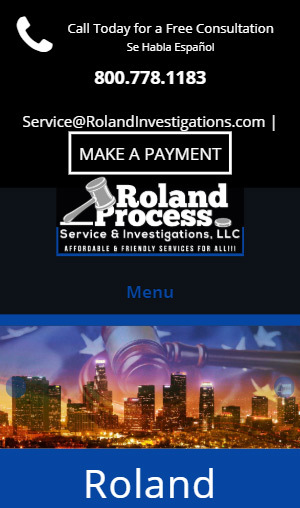 While not our first foray into designing for legal service providers, we went for a more ambitious design scheme than we had ever attempted before. The site was one of the first on our systems to use our automatic inline CSS system, allowing for faster load times and greater visibility in search engines.